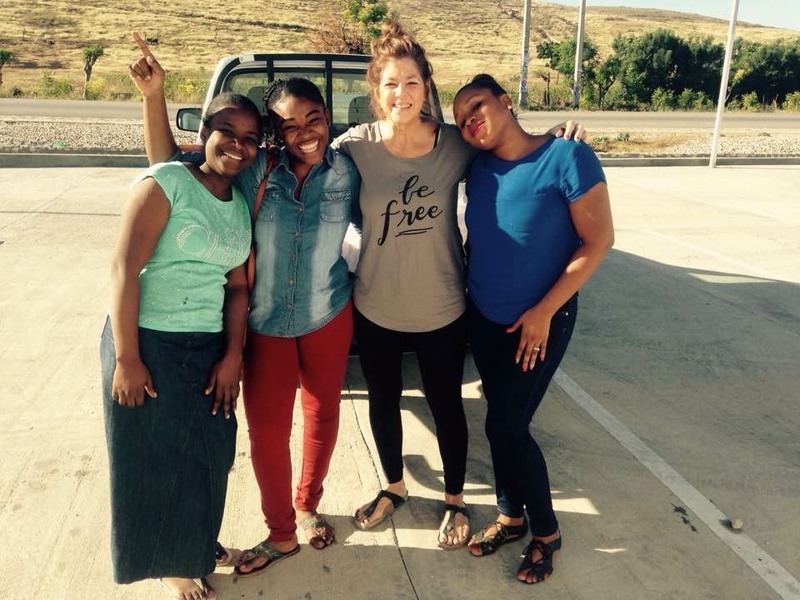 By partnering with Heartline, you are equipping and encouraging Vanessa as she works tirelessly to lift up her brothers and sisters in Haiti. Every day, Vanessa’s life reflects her deep sense of purpose – to love God and love others. She is a woman who views others through Jesus’ eyes, truly seeing each individual’s worth and accepting them exactly as they are. Vanessa is quick to extend compassion, flash a bright smile, and sit and listen. She loves and serves with boldness and humility. 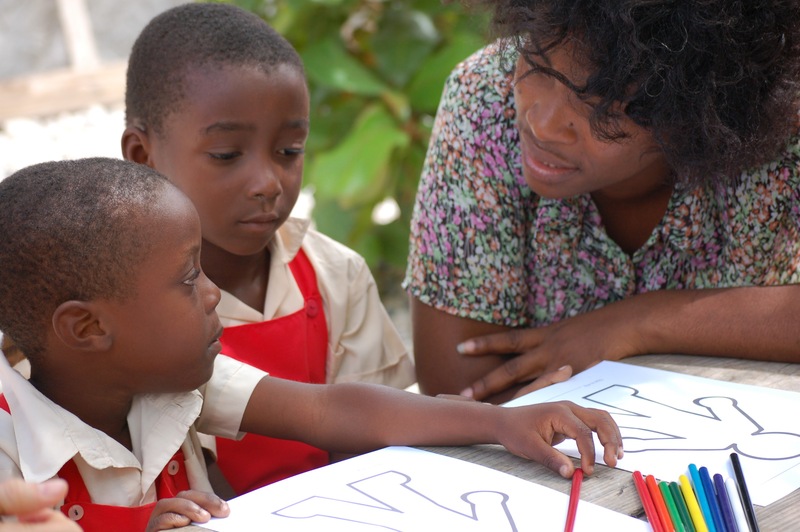 In the wake of the catastrophic earthquake that hit Haiti in January 2010, Vanessa found herself looking for a way to support her young son, mother, and siblings. As the sole income-earner in the family, Vanessa’s mother struggled to provide for their needs. Many days the family went without food. Vanessa’s brother battled mental illness and addiction and the family strained under the enormous weight of it all. At the moment when she felt the most beat down, Vanessa made a decision to rise. She was determined to help her mother carry the load of providing for the family. She was determined to restore hope and transform the future for herself, her loved ones, and her community. Vanessa sought the advice of her neighbor, who taught at the Women’s Education Center. Soon, she was enrolled in a sewing class and after several months of hard work, Vanessa began making and selling purses to earn an income. After graduating from the program, Vanessa continued to come to the school each day. The Women’s Education Center Director, Marjorie, let her use the school’s sewing machines after hours so she could build her business. During this time, Vanessa formed a relationship with many members of the Heartline family, including Heartline founder, John McHoul. 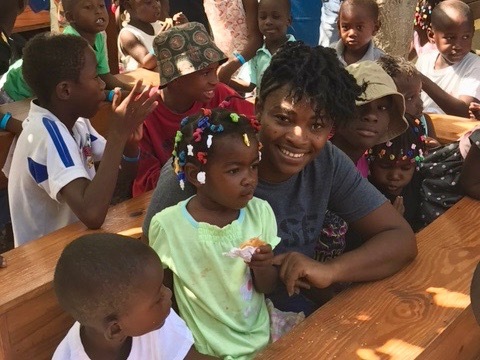 John noticed her undeniable tenacity and heart for others, so he asked her to join him for a visit to Cité Soleil, an extremely impoverished slum in Port-au-Prince. After seeing how children in Cité Soleil lived, Vanessa was moved to make a difference in their lives. It wasn’t long before she was working with community leaders and Heartline to form the vision and lay the groundwork for what is now Heartline’s student sponsorship program. Vanessa’s role at Heartline continued to expand throughout the years. She is now a full-time employee and vital part of Heartline Ministries. In addition to coordinating the student sponsorship program, Vanessa is crucial to all of Heartline’s outreach ministries. Whether it is a special event for disabled children, serving a holiday meal to prisoners, or hosting a prayer and worship service – Vanessa is behind the scenes coordinating all of the people and resources to make it happen. She serves at a local women’s prison each week helping to lead Bible study and worship for the inmates. Her compassion is evident in each interaction with the women. She also works with dozens of families that receive support through Heartline’s individual poverty assistance program. By investing in a relationship with each family, Vanessa is able to gain a deep understanding of their individual needs and help them navigate difficult situations. Through steady employment with Heartline, Vanessa can better provide for her extended family and others in her community. In addition to providing food, water, housing, medicine, and clothing for her family, Vanessa also pays school tuition for her sister, her son, three nephews, and two neighbor children. She knows the importance of education, and passionately invests in the lives of young people out of a deep desire to equip them to serve others. This passion for investing in the lives of children inspired her to start a ministry of her own. Each day, as Vanessa came home from work, she noticed children in the streets of her neighborhood. She began stopping to talk with the kids, to learn more about their lives. Due to extreme material poverty, many of the children were not in school and their families could not provide for their basic needs. “It made me think – what can I do to help these children?” Vanessa saw their need and decided to invite children from the neighborhood into her home each week for a Bible study. Quickly, the small group grew and now 200 children from Vanessa’s community gather every Sunday to learn, pray, sing, play, and receive food. As a mother, Vanessa often thinks about her ten year old son’s future. Her hopes and dreams for Delaxandro reflect her heart of service. “I hope he will have a heart that loves others. Whatever he chooses to do, whether he wants to be a doctor or a professor, I hope he will be most interested in helping people.” We are confident that Delaxandro will follow in his mom’s footsteps – living to love God and serve others. By investing in Vanessa, you are impacting the lives of dozens of men, women, and children in Haiti. 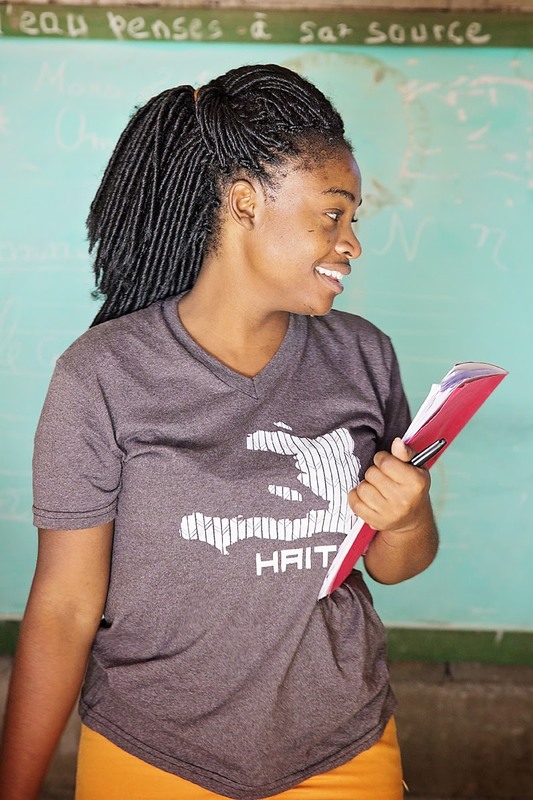 You can make a lasting difference today by partnering with Haitian men and women as they boldly pursue change and transformation – for their lives, families, and country. Click here to join us.